Jungle Island provides the ultimate, real jungle experience that challenges guests to leave their comfort zone, push their boundaries, and reconnect with the natural world. Comprised of four unique zones, each area provides visitors the opportunity to interact with the zoo’s animals in natural, educational, and immersive ways. In the Lost Lagoon area, walking trails crisscross across water and move guests deeper into a jungle filled, not only with rock diving, rope swings, and watery zip lines, but tropical fish, whooping gibbons, capuchins, and other live animals gazing at you as though YOU are on display. 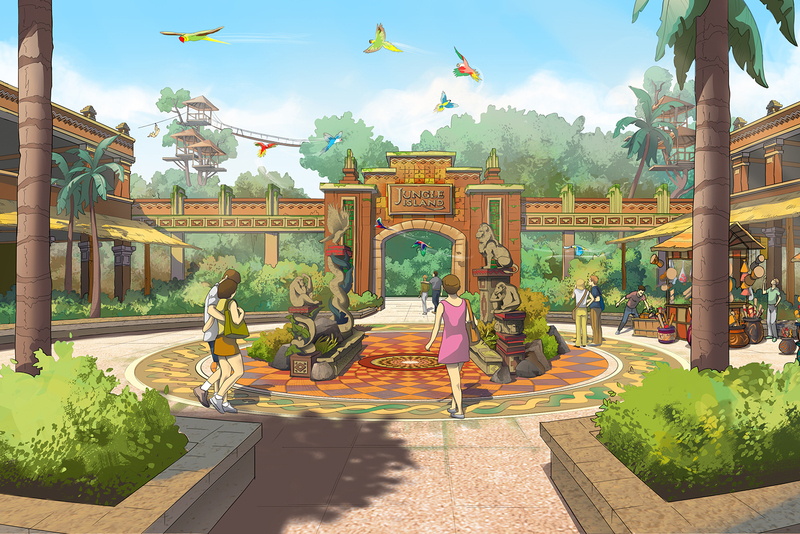 No matter where your journey takes you, Jungle Island represents a radical philosophical shift from its previous iteration from a small, regional “zoo” attraction to a true, international “adventure” destination.